Read this if you ever use (or have used) dry shampoo. I don't know what it is, but I always read things about not shampooing or using dry shampoo. I think it's because neither idea seems plausible to me, and I can't believe that your hair can look good if it hasn't been shampooed or if it's been treated with dry shampoo. 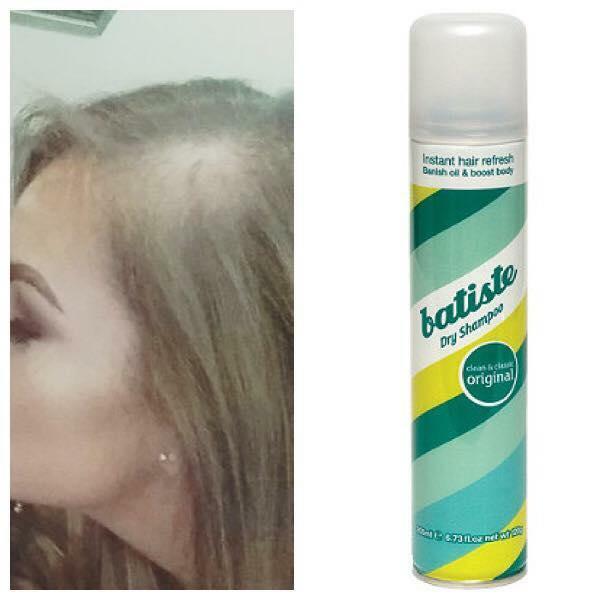 But a Belfast woman, Nicole Baxter, recently found out the hard way that dry shampoo can be damaging to the scalp. 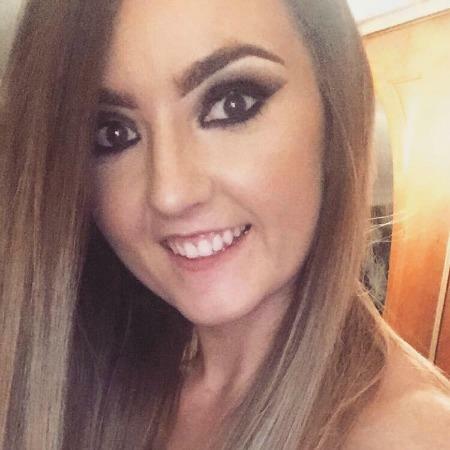 People are fascinated by stories about it, as her recent Facebook post about her dry shampoo troubles has gone viral. Nicole had been a very regular user of dry shampoo until she noticed red sores, blisters, and a bald patch on her head that kept getting bigger. Needless to say, Nicole was extremely alarmed when she saw what was happening with her scalp. "So I went to my GP at the end of last year due to having a bald patch on my head which kept getting bigger. Anyone who knows me knows I don't stress and my diet's alright so there didn't seem any reason for this to happen? My scalp was also very itchy and flaky. I had wee red sores and blisters all over my scalp and a terrible burning sensation all over my head — to the point where I would wake up several times a night due to the discomfort/pain. She referred me to the dermatology unit in Belfast City Hospital where I had my first appointment in February. At this initial appointment I was immediately diagnosed with triangular alopecia (hair loss in one area of the head, usually in a triangle), and was told I'd have to come back to have a scalp biopsy (injection straight into my scalp to numb the area, then a hole punch tool used to remove a part of it, then closed up with stitches) done to see what was causing these blisters and sores I had. The doctor asked had I anything on my hair at the minute, I said just dry shampoo. So she advised when I come back for the scalp biopsy to come with nothing in my hair and to make sure it was clean. I thought it was weird she said that; it's only dry shampoo, what's that got to do with it? So I actually stopped using it altogether from that day to see what would happen. She looked at my file and said that it was to see what the blisters and sores were and could they diagnose a cause, and straight away I'd realized that I didn't have them anymore (I don't know why I hadn't realized before). So she compared my scalp today to the pictures that were in my file from February and asked what had I done differently in the last 6-7 weeks that may have helped it? I told her I'd stopped using dry shampoo and that was it, nothing else different. You'd of thought a light bulb went off in the woman's head. She said it's the best thing I could have of done for myself. If she had been at my initial appointment, she never would have even prescribed the biopsy if I had dry shampoo in my hair that day, and that a biopsy isn't going to have any benefit because it can't do anything for the bald patch. So I left the hospital with my scalp fully intact and a prescription for a bottle of T-Gel! Moral of the story: Dry shampoo caused me to now have this bald patch on my head (which I still have and it may or may not grow back, but nothing can be done) and a terrible scalp for ages. Just wash your hair people! It is not worth having this awful patch that I might be stuck with on the side of my head all because I can't be arsed to dry my hair." "In the name of God, never in all my life did I think I'd have to explain my personal hygiene to 23,000+ people! I did not use dry shampoo instead of washing my hair properly. I've obviously had a more severe reaction than most people will. I'm sure other brands have the same/similar effects on other people. Batiste is just the one I used. At no point have I said I don't shower, but people seem to think suggesting I shower would have solved the problem! I only meant for this to warn my friends that these are the symptoms I had, and after I stopped using dry shampoo most of them cleared up (never imagined it would have 23k+ shares). Then, AN ACTUAL DOCTOR told me it was down to the dry shampoo, not a bunch of people who suddenly gained in-depth knowledge of dermatology and my personal showering schedule." Obviously, Nicole had a very horrible reaction to over-using the dry shampoo and not everybody is going to have that same kind of reaction. If you're using dry shampoo, it might be a good idea to do a test run to see how you react to it. Also, frequency seems to be an issue, so perhaps use it only when in dire need. Another lesson we can learn from Nicole is that whenever you put anything out on social media (trust me, I know from experience), no matter how innocuous you think something is, somebody is always going to find something negative to say.